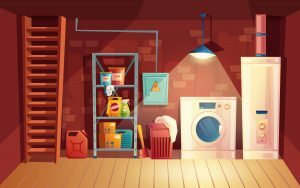 How to Eliminate Musty Basement Smell | Weilhammer Plumbing Co. Inc.
A stale, musty basement is not a comfortable place to hang out. Most homeowners just turn them into storage space for all their unforgettables, or simply avoid them at all costs. Sadly, this situation puts quite a damper on the total square footage of a home, and ultimately, the property’s resale value. However, the problem with a musty basement is not just about comfort and capitals, it is also about health and safety. You see, the most common culprit behind a must-like smell is mold, which is something to be concerned about. It is important to treat and stop a mold outbreak in your basement as soon as you discover its presence. This will help protect you and your loved ones from dangerous health implications caused by mold spore inhalation. But mold remediation is not the only step to getting rid of musty basement smells; you will also need to resolve the underlying issues that caused the mold to grow in the first place! 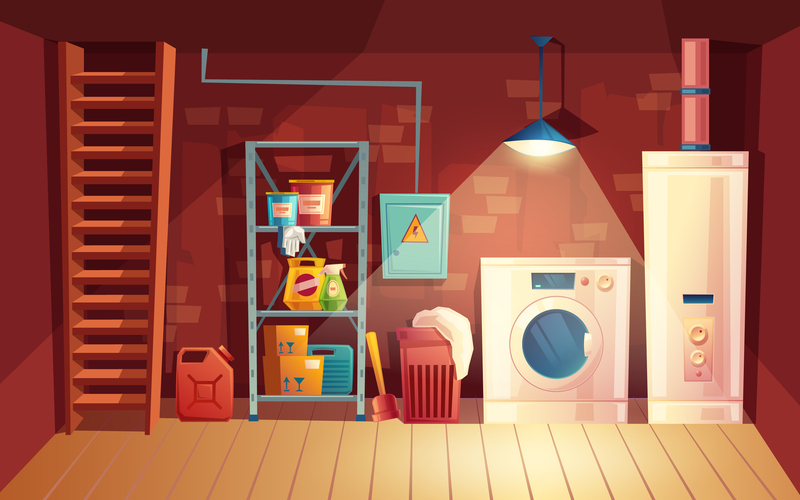 Continue reading to learn some helpful tips on what can do to eliminate musty odors in your basement. The reason why basements develop a musty smell is due to water vapor becoming trapped in the room as a result of improper or poor ventilation. Mold and mildew require a wet, dark environment to grow, and a basement with poor air flow and ventilation makes for perfect conditions. Issues like water leaks will increase the rate of mold and mildew development, and worsen the conditions. Your first step to eliminating or reducing basement mold odors is to have your home inspected for ventilation issues. Air circulation is vital in your home because it allows air to vent outdoors, while also bringing fresh air back inside. Your basement needs to be properly ventilated in order to reduce the dampness and moisture levels inside. You can purchase a moisture meter to measure the level of moisture in your basement. This can help you determine if it is a ventilation issue or a water leak gone unnoticed. Once your ventilation is in order, you will need to have your home’s plumbing inspected for slab leaks and pipe damages. These are common causes behind musty basement environments and mold growth. See our article, “What Makes Slab Leaks Dangerous?” to learn why you should take one very seriously. The most common causes for slab leaks include corroded or deteriorated copper piping, inadequate insulation fittings and installation, friction beneath the ground, and kinked, cut, or clogged plumbing line. These would have to be repaired before you can enjoy a mold-free basement. You will also benefit from reading our blog, “Avoid Basement Water Damage By Monitoring These Areas” to learn which areas of your basement you should pay attention to after heavy rain and more. Contact a licensed master plumber for professional water and slab leak inspection services. Not only can they investigate for slab leaks, pipe leaks, and signs of water damage, they can also provide comprehensive plumbing repairs. Call Weilhammer Plumbing Company at 317-784-1870 for prompt and professional Indianapolis slab leak detection and repair you can afford. 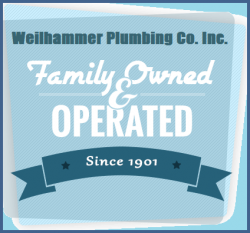 Owner and master plumber, Mark Weilhammer, provides residential and commercial plumbing services, including 24 hour emergency plumbing repair. Our team of licensed and insured plumbers deliver safe and effective plumbing repair at an affordable price. Request a free estimate, today. This entry was posted in Slab Leaks, Water Leaks and tagged clean musty smell, Indianapolis master plumber, Indianapolis slab leak detection, Indianapolis water leak detection, musty smell basement. Bookmark the permalink.